We have begun out new study using the book by Lee Strobel “The Case for Faith”. We will study the toughest objections to the faith. Subjects include: Why is there Evil & Suffering?, Does Science Contradict the Bible? Is Jesus the Only Way? This class is designed to deepen our convictions and give us fresh confidence in discussing Christianity with others. Be sure to join us for the annual Resurrection Day Sunrise Service that will be held lake-side at Pinchot Park. Service begins at 7:00 am and Pastor Keith will be sharing the message. We would like to offer a VBS this year, but are in need of some volunteers who would be willing to assist in decorating and helping to plan this ministry. Dustin Wible has volunteered to lead and emcee it provided we have enough workers to prepare for it. If you want to be a part of this, please fill out a blue card with your name and VBS and put it in the offering plate. If we determine that there is enough help, we will have a kick-off meeting. 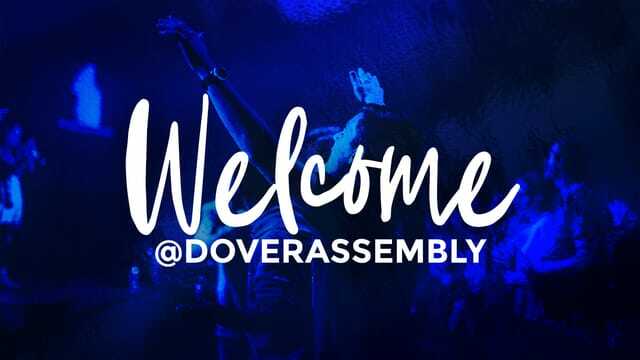 In the age of smart phones, websites, social media and electronic banking, our church wants to be sure that we are exploring every technology that will ultimately benefit the work of God here in Dover Assembly. We have partnered with the company Tithe.ly.com and put a link on our website and phone app that will permit online giving. As we are all aware, our first attempt to purchase chairs met with some problems. We are still waiting for the final resolution to this but have been in prayer concerning what our next step should be. After some time and prayer, the board and pastor feel it’s time to finish what God had started. During our time of prayer God had confirmed our decision by having two donations arrive that have been designated for chairs. Between those and some chair donations we have received from the church body, we have $4207.00 already raised for the new chairs. We would like to receive a special offering over and above our regular tithes and offerings NEXT SUNDAY- Resurrection Day that will go towards the purchase of the chairs. You can now give to Dover Assembly online at your convenience. Click the link to learn more! We are continuing our study on worship, and as it happens, this coincides with Palm Sunday! The Bible doesn’t really define worship for us. It gives us examples of worship and what was happening to cause worship. There are many accepted definitions of worship but one definition jumps out at me. If we look through scripture, we will see that this is always true. People tend to worship, when they sense the presence of God or they see or are the recipient of God’s actions. When Peter & John we going to the temple and was asked for money. When Peter & Jesus walked on the water . . . When Jesus told them to cast their nets on the other side of the boat . . . When Mary poured the perfume on Jesus’ feet, that was an act of worship simply due to His presence. When Elijah faced the prophets on Mt Carmel. Elijah called together all 450 prophets of Baal to challenge them to a contest. Whichever God brings the fire is God. We know that theirs didn’t but Jehovah did. How does this tie into Palm Sunday. We’re going to go down a couple of tangents today. One is the worship aspect of Palm Sunday. The other is the spiritual aspect of Palm Sunday. In other words, what was happening behind the scenes that brought about Palm Sunday? When Jesus was entering Jerusalem, he was going to do something that he had not allowed up to this point. A public display or demonstration in His honor. Donkeys were the mode of travel for kings and rulers. It was symbol of power and authority. He got the donkey to ride to symbolize to the crowds that he is truly Israel’s King. So when Jesus was entering, what was the response of the people to His presence and previous actions? Remember our definition of worship . . .
After getting the colt (donkey). . .
Their reaction to His presence was worship. They remembered all He had done throughout His ministry. Our reaction to being in God’s presence or seeing or hearing about God’s workings (testimonies), should bring about worship on our part. By Jesus’ entering into town, people sang praises and worshiped Him. Being in God’s house around God’s people and in God’s presence, should bring about an attitude of worship. Remember in Acts 2:1, what happened in the Upper Room? I believe we can sense the presence of God in a building when we enter it. Once we sense that, we should have an attitude of worship. Look at Corinthians. When visitors see the power of God and can see what God does in our lives, what happens? He senses God’s presence and his reaction is to worship. Whenever Jesus enters the picture like Palm Sunday, the people’s reaction was one of worship. We should just ask ourselves if that is our reaction when we join together in God’s house? Do we remember all that God has done for us and for others that we know? Do we realize that He is better to us than we deserve Him to be? Do we think about all the blessings we have or do we focus on what we don’t have? That was the worship tangent. Stepping away from the worship aspect of Palm Sunday, let’s see what else is happening on this very day. First, we have Jesus riding in on a donkey. His first time where he allowed others to publicly worship him. He used the donkey as a symbol to illustrate His being the King of Israel and their Messiah. Since he was deliberately fulfilling that, he was confirming that he was the Messiah. Also Mark’s account add the word Hosanna! Hosanna literally means “save now”. They realized that what they were seeing was a fulfilment of Zecharih and the knew the verse said “having salvation”. So they shouted “Save now”! The Bible says that today is the day of salvation. . .
How many know that there was a distinct purpose for Palm Sunday-a purpose for riding a donkey in proclaiming himself to the Israel’s King? The 2nd reason He did this was to challenge the religious leaders. And it got their attention. Why did he need their attention? Why did He do such a visible event when He knew what would happen? They wanted to calm the crowd down and not make a big deal about this. Why? They did not want to arrest Him during Passover. They wanted to do it quietly without the crowds being around. They already had plans and they didn’t want to change them. Jesus rode in in a deliberate attempt to crush their plans in order to accomplish what God had already planned. He was destined to be the Passover Lamb-to die on Passover as a fulfilment of basically all of the Old Testament. His riding in was meant to push the issue and make them act. Pushing them to the point where they couldn’t ignore it and He made them act. How many realize that man cannot thwart what God has planned? We call this the triumphal entry. This was the event that actually sped up His crucifixion. I might not call it a “triumph” except for the fact, that this was God’s plan all along, so in effect, it was God’s triumph over the devil and man’s planning. A Roman triumphal entry was after a successful battle with the commanding general having killed at least 5000 of the enemy. Jesus’ entry was a spiritual victory, not a physical one. He was the victor. Victory of love over hate, truth over error and life over death. And in a few weeks, he would conquer the enemy and have 5000 lives transformed. When his ride was over, he looked into the temple area . . . This would be the beginning of the difficult week that lay ahead. We look at Palm Sunday as a victory and a celebration and to a degree it is. God’s plan was coming together. But it was also the worst week imaginable. Imagine that you were facing the upcoming week full of what Jesus experienced. No doubt, you would spend as much time in prayer as you possibly could. Circling back around to worship, Palm Sunday should be a call for us to worship. WORSHIP IS THE RESPONSE OF MAN WHEN HE ENCOUNTERS GOD OR GOD’S ACTIONS. What Jesus encountered and suffered during Holy Week should have no other effect than us calling out in worship for what he endured for us.